a.k.a., "Ergo Ease Seat Wedge". 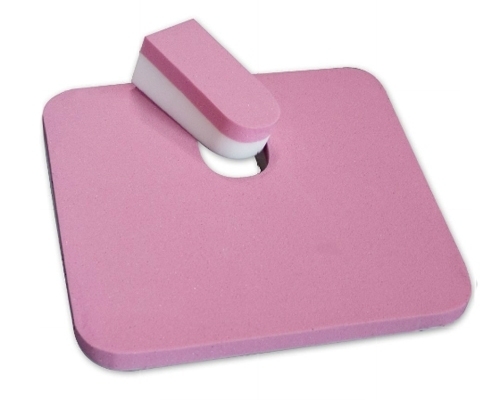 Formerly called "Sacroease Wedge Ease"
The most durable memory foam seat wedge available. Removable coccyx-cutout for tailbone relief. Quality Ultrasuede covering with non-skid bottom. 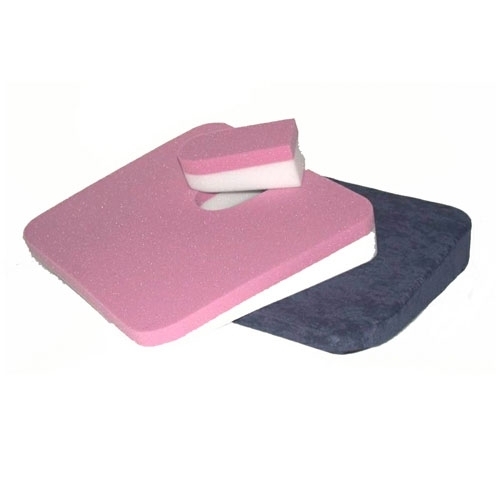 Top layer of medical grade high-density memory foam provides luxurious support. 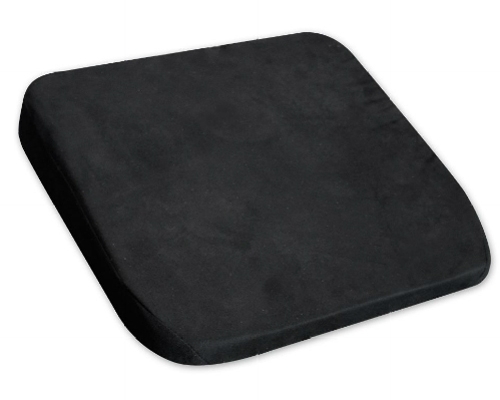 Removable washable Ultrasuede cover is soft for comfort, yet durable enough for years of use. High-grade rubberized non-slip bottom says in place. Gentle taper from 3" to 1"